Chez Cliché provides unique apartments in downtown Vienna. Our guests enjoy unusual interior design, lovingly refurbished antiques and modern state-of-the-art technology. We welcome guests as friends, enabling a genuine glance at the charming Viennese culture. The concept of Chez Cliché is to offer independent, serviced apartments – our guests want to live like a local and deliberately stay in another form of accommodation than a hotel and enjoy their absolute privacy – a home far away from home. We do not offer a central reception, spa facilities, lounges or breakfast area. Just a few hundred meters away you will find several luxury hotels like the Park Hyatt Vienna with it´s spa and lounge facilities open to the public (surcharges apply for the spa area). We do offer room cleaning, concierge services, airport transfers and upon request, we also can provide/deliver food and/or drinks for breakfast to your apartment. We do offer a complimentary bottle of sparkling mineral water as well as a bottle of Austrian red wine or white wine upon arrival. Depending on the rate booked, we also welcome you with a sweet surprise – the famous Austrian chocolate cake (Original Sachertorte) from Hotel Sacher! Our studio apartments on Naglergasse are about 42m² - 45m² (antechamber, kitchen, bathroom, combined living/sleeping room; one apartment additionally offers a walk-in closet). Every apartment is equipped with complimentary WLAN and satellite TV (audio and video devices by "Bang & Olufsen"). Our boutique apartments are each uniquely decorated / furnished with precious antique furniture and fine art as well as contemporary furniture. One apartment is decorated in baroque style, one in 1950´s style and one in Art Nouveau style – all three apartments represent an artistic and architectural period for which Vienna is famous. You breath history in our apartments! The building is an historic building originally from the year 1429, it´s current façade and inner lay out dates back to 1779. The building has 4 floors, two apartments are located on 2nd and 3rd floor, facing the street and one is located on 3rd floor, facing the inner court. As it´s located at the famous historic address Naglergasse, 1010 Vienna, the surrounding streets are tiny. They are narrow and without a wide view, which is typical for a medieval city centre in a historic Austrian city. 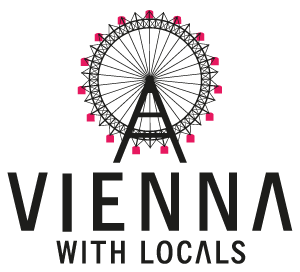 It´s a quite romantic area, all pedestrian zone and just a few steps away from Vienna´s most prestigious and elegant historic streets and shopping areas, in the middle of the most famous tourist attractions. We will gladly assist you in planning your transfer in your preferred way! A transfer organised by us will be cheaper than take two regular airport taxis at the airport. Alternatively you may choose the public transports like CAT (City Airport Train) & subway or the Airport Bus & subway.